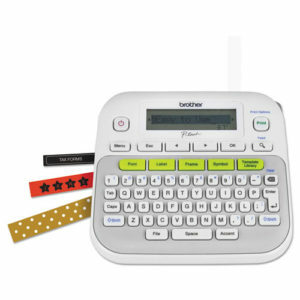 The right kind of label maker is essential to keep your office, storage room, warehouse, and or filing room organized. With so many options to choose from, it’s important to know which kind of unit works well for your company. The below infographic that summarizes what kind of label maker your company needs. Read our blog? We also have infographics to help you stay active at the office and buy the right printer for your office! How much do you want to customize your labels? Consider what basic features you need the most first. Do you need your labels to have color or pattern? Do you want the ability to bold, italicize, or underline your text? If you have a lot of text, you want to make sure that there isn’t a character limit. Some models also connect to your computer or devices so you have complete control over the design. How often will you use your label maker? If you’re going to make a lot of labels, it would be better if your label maker came with a QWERTY keyboard rather than an alphabetical one. A lot of units are battery operated, but some are more efficient than others. 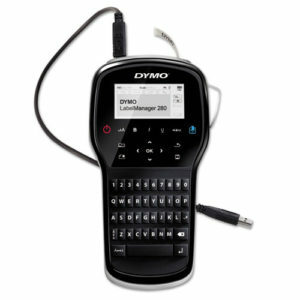 Look for a model with a rechargeable battery pack or power cord if you will be using your label maker often. Where will you use your label maker? While they’re typically limited in features, portable label makers are perfect if you move around to a warehouse, storage room, filing room, etc. 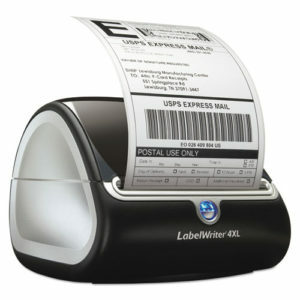 Label makers can print a wide range of sizes and styles. Some models are USPS®-approved to make shipping easy. We get it, buying office supplies is overwhelming. That’s why every AMO customer has a personal, dedicated account manager to assist in every step of the office supply buying process– and with your AMO Membership, you can receive special pricing on printing supplies. Log-in now to start shopping! Not an AMO Member? Signing up is completely free.